In order to enhance the tracking performance and improve the stability of intelligent electric vehicles, combined Lane keeping and direct yaw moment control is a good choice. 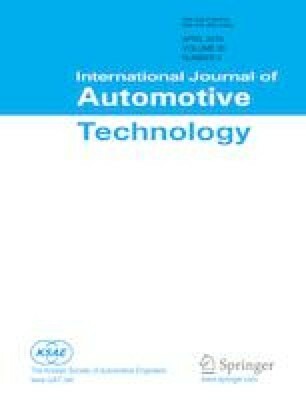 In this paper, an uncertain model of intelligent electric vehicles for combing the lane keeping and direct yaw moment control is deduced, in which time delay and data dropouts are involved. Since the intelligent electric vehicles have the features of time delay and strong uncertainties, a novel robust guaranteed cost combined lane keeping and direct yaw moment control system is constructed to manage the lateral motion of intelligent electric vehicles. The asymptotic stability of combined lane keeping and direct moment control system is verified based on the Lyapunov stability theory. Simulation tests are carried out to demonstrate the feasibility of the proposed control approach, and the results indicate that the presented robust combined control approach can accurately achieve the lane tracking capability, stability and maneuverability of intelligent electric vehicles.